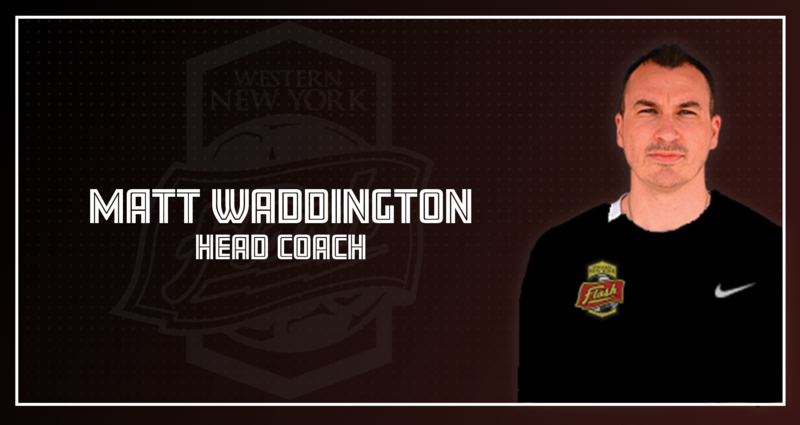 On February 16, 2018, the Western New York Flash named Matt Waddington the fourth head coach in franchise history. Waddington enters his first season as a head coach in UWS play. In addition to taking up as head coach of the organization’s UWS team, Waddington will also be tasked with coaching up to two teams within the Western New York Flash Academy in an effort to help groom the area’s top players. 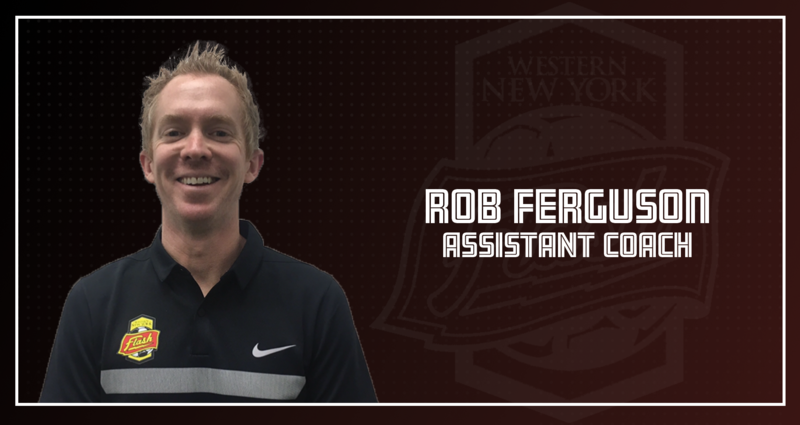 On March 17, 2018, the Western New York Flash announced that Rob Ferguson would serve as an Assistant Coach with the WNY Flash UWS team. Rob has served as the WNY Flash Academy Director of Coaching since 2016. Early in 2014, Huston-Tillotson University Men’s Soccer hired Rob Ferguson as the new Head Coach, tasked with re-building the program and taking it to the next level, on and off the field. In July of 2015, Rob was appointed to the position of Head Coach of the Lady Rams, also. Rob originates from Huddersfield, England. He holds a Bachelors Degree in Sports Studies and Business Management from the University of Manchester. Rob holds the USSF ‘A’ Coaching License, the USSF National Youth License and the NSCAA GK Diploma. Rob was the Executive Director of Business for Lonestar Soccer Club from 2008 until 2015; one of the largest and most successful youth soccer clubs in the country. At Lonestar, Rob has coached the Lonestar 96B Red, 93G Red, 94G Red and 95G Red, and advanced the 95G Red to the USYSNC Region III Championships in June 2013 and 2014. Rob was instrumental in shaping, developing delivering success to Lonestar SC, both on and off the soccer field. Prior to joining Lonestar SC, Rob was a Head Coach with Albion Hurricanes FC in Houston. Prior to his time in Houston, Rob worked as Director of Coaching for FC Arsenal for three years in Bastrop, TX, and as a Regional Manager in the Pacific Northwest, based in Seattle for Britannia Soccer/ProExcel. Rob lives in Buffalo with his wife, Kelsey and their two dogs, Bonsai and Charlie. 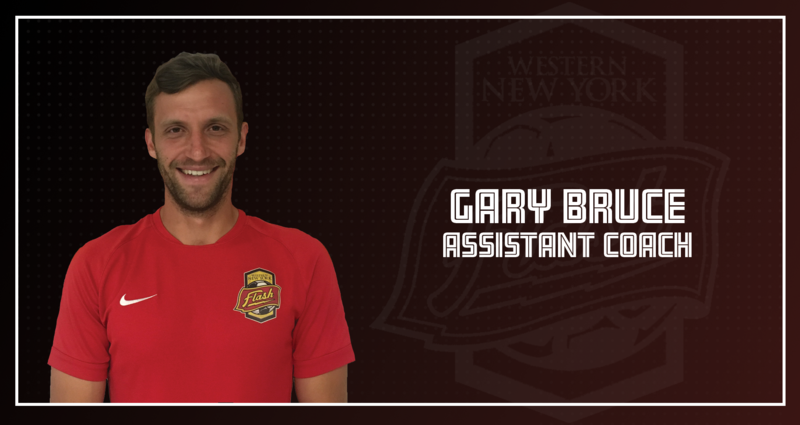 On March 17, 2018, the Western New York Flash announced that Gary Bruce would serve as an Assistant Coach in the team's 2018 UWS campaign in an effort to help Bruce focus on his key role with the Western New York Flash Academy. Bruce is currently the Director of Coaching of the Western New York Flash Jr. Academy and coaches two boys’ teams in the Academy. A graduate of the University of Colorado, Bruce won a National Championship with the Buffaloes in 2005. Following his time with Colorado, he stayed in the area and played for local teams in the Premier Development League and captained a team in the National Premier Soccer League before entering the coaching ranks. The Longmont, Colorado native joined the Flash organization in 2016 and was a crucial part of Paul Riley’s staff during the team’s 2016 NWSL Championship run. The team compiled an 11-5-6 record en route to the title, and saw forward Lynn Williams earn the league’s Most Valuable Player title. In addition, the Flash saw nine players playing at the international level by the end of the year, up from four at the beginning of 2016. 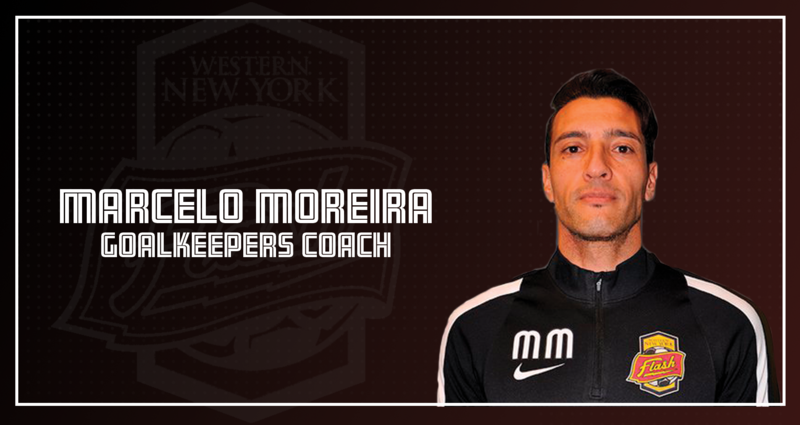 On March 17, 2018, the Western New York Flash announced that Marcelo Moreira would return as the team's Goalkeepers Coach for the 2018 season. A former professional goalkeeper, Moreira brings over twenty years of playing experience at the club and international levels to the Flash. He previously served as the Goalkeepers Coach for the Western New York Flash, including during last year’s 2016 NWSL Championship, and currently serves as the Director of Goalkeeping for the Western New York Flash Academy. Moreira lives in Rochester with his wife, Kayla, and their newborn daugther, Jilliana.